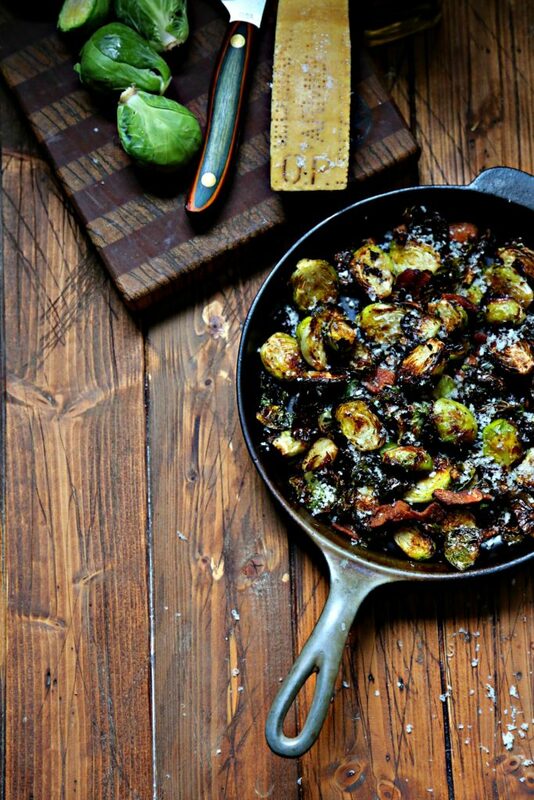 Air Fried Brussels Sprouts with Bacon. 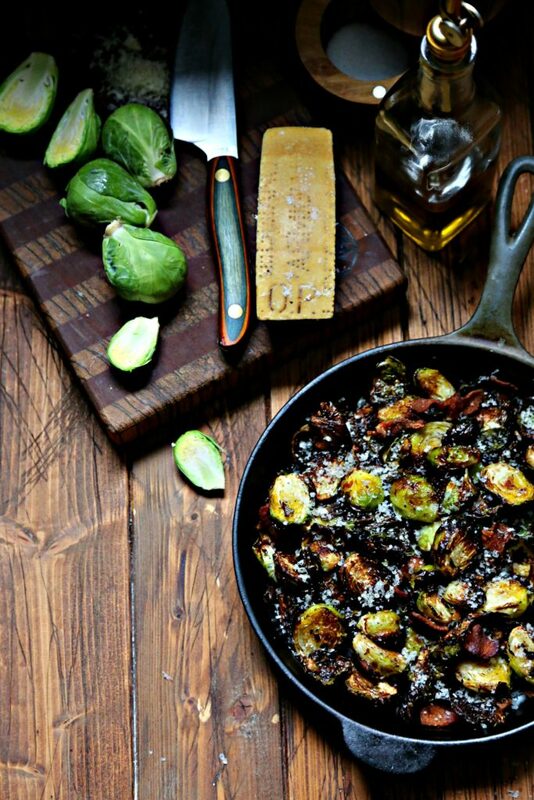 Crispy Brussels sprouts coated in olive oil and peppered with bacon crumbles. A gluten free, keto friendly side dish that’s ready in less than 15 minutes. 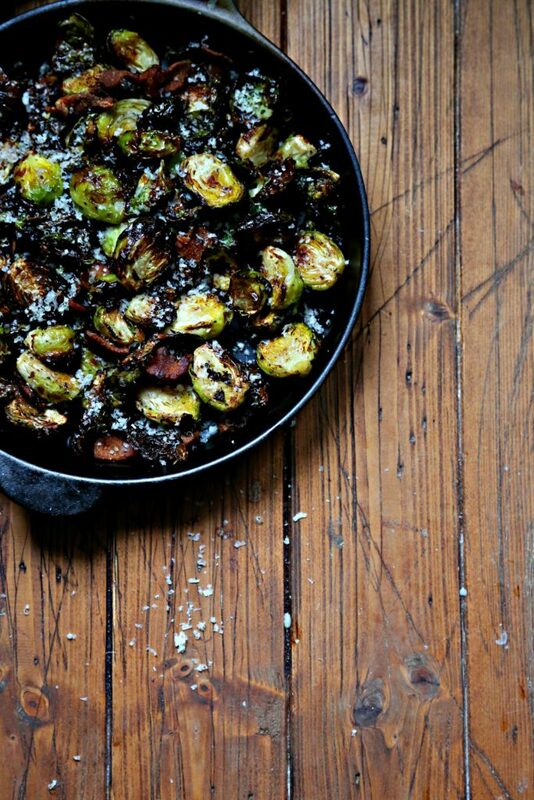 While Brussels Sprouts don’t get the attention that other side dishes might, I happen to adore them. That wasn’t always the case. I hated them until I became an adult. Truth. It wasn’t my fault though, I was served boiled Brussels as a child. There is nothing appetizing about boiled Brussels. If you’ve never had them prepared that way, consider this your PSA to steer clear. Roasted Brussels on the other hand, are incredibly delicious. Crispy on the outside and tender on the inside. Add bacon and well, bacon. It’s what dreams are made of. Unless you’re vegetarian and then feel free to omit the bacon here. 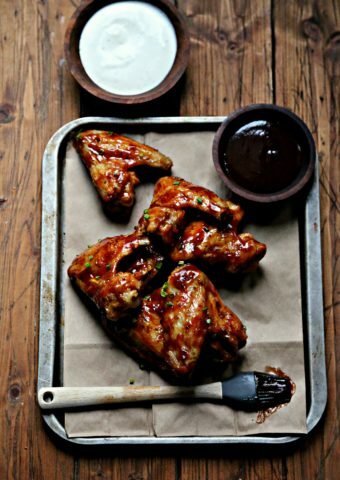 While they may appear to be burnt, those extra crispy leaves are highly addictive and coveted. Consider them as little Brussels chips.You just can’t eat one. Brussels sprouts are buds and are members of the cabbage family. They grow along a tall single stem. Is it Brussels or Brussel Sprout ? Now that we know what they are and how to pronounce them correctly, let’s FRY them. Air fry them. 5 minutes of prep to trim and half them vertically. Toss them into a bowl and coat with oil and vinegar. A quick season. Addition of bacon and into the fryer they go. 10 minutes and one shake later they’re ready. Now all that’s left to decide is what to serve them with. 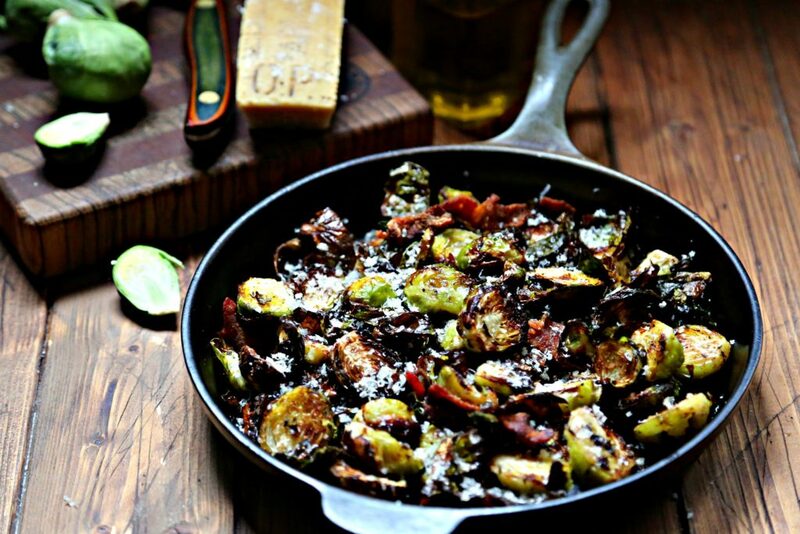 Crispy Air Fried Brussels Sprouts with Bacon and parmesan. Ready in less than 15 minutes. 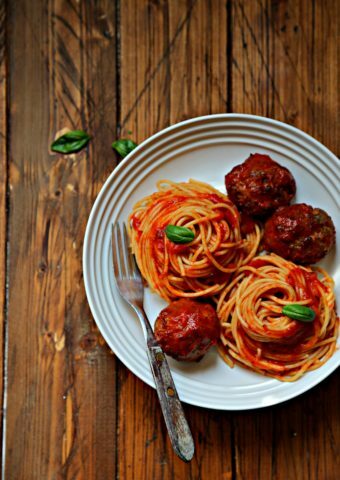 An easy, gluten free, keto friendly side dish. Into a large bowl add: Brussels, bacon, olive oil and balsamic. Toss Brussels until well coated. 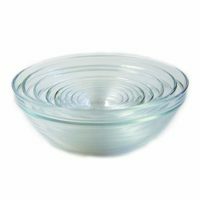 Pour bowl contents into the basket of air fryer. Set at 350 for 10 minutes. Shake basket half way through. Sprinkle with desired amount of parmesan prior to serving. 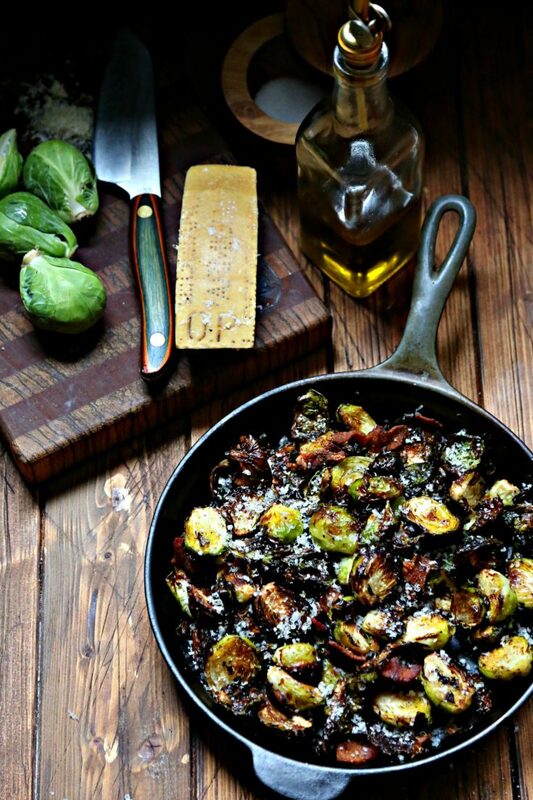 To make these in a traditional oven, place tossed Brussels onto a rimmed baking sheet. 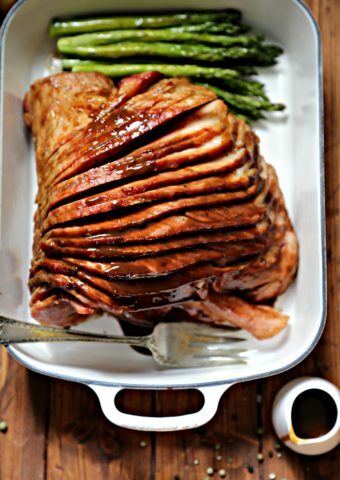 Bake at 425 for 25-30 minutes OR until fork tender. 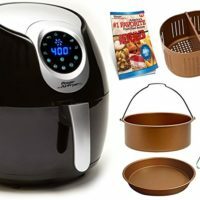 I keep hearing such amazing things about the air fryers. This looks fantastic! Thanks Demeter – I’ve really enjoyed mine so far. Guaranteed that my family is going to love this. I mean, it has bacon and that’s always a winner. Bacon makes everything better right Jen! Enjoy. 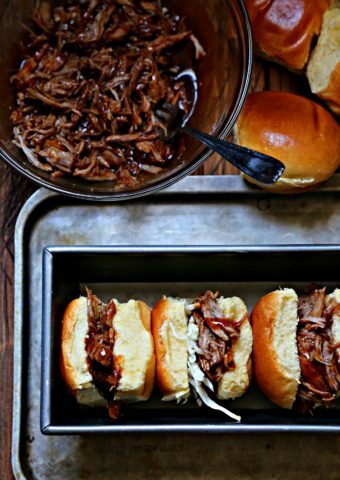 Thanks Angie – They turn out so crispy in the air fryer. Looks amazing! 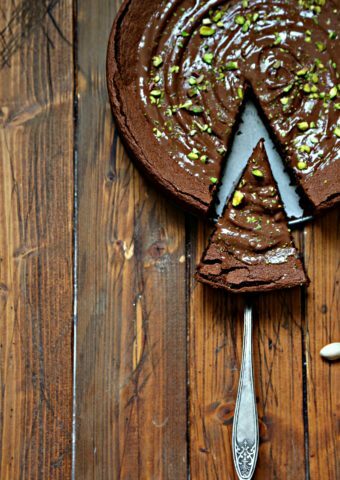 So tasty-looking, would love to try! Hope you do Dee. They’re super tasty. These look so delicious! I could eat them every day! Me too Erin, me too! Thanks Erin – it’s a great side dish. 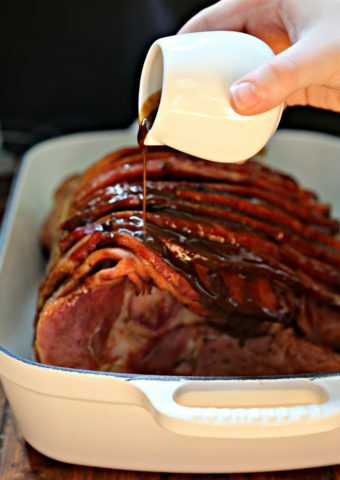 What a great way to use the Air Fryer! 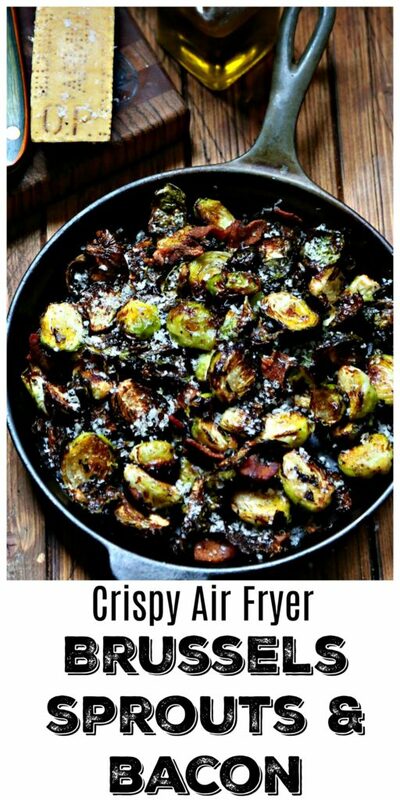 I have to try this as we love brussels sprouts! They’re so crispy in the air fryer. Enjoy!